Keith Krach, ‘79 (fourth from right), alongside members of his family, was honored with a resolution renaming Sigma Chi’s annual Leadership Training Workshop as the Krach Transformational Leaders Workshop effective in 2019. At the recently concluded Balfour Leadership Training Workshop held at Bowling Green University, the Sigma Chi Foundation announced an endowment-level lead gift by Keith Krach ’79 that will perpetuate the event for decades to come. Keith and his family’s tremendous commitment and generosity will provide transformational leadership training to future generations of Sigma Chi’s. Keith delivers the keynote address to Sigma Chi undergraduates during the 2018 Balfour Leadership Training Workshop. Standing alongside his wife, and past International Sweetheart, Metta, members of their family and Fraternity and Foundation leaders, the 1979 International Balfour Award Winner, Order of Constantine, and Significant Sig formally unveiled the Krach Transformational Leaders Workshop, which will replace the previously-pioneering Balfour LTW event as the largest leadership training event in the Greek-letter fraternal world in 2019. Keith’s gift specifically affects Workshop, but also serves as a springboard for an endowment that carries Sigma Chi’s leadership vision far beyond a three-day annual event and onto campuses and communities across the United States and Canada. The inaugural Krach Transformational Leaders Workshop will launch on August 1, 2019. Transformational leadership has been a recurring theme in Keith’s life, both professionally and in his life as a Sigma Chi, dating back to his first workshop experience at the University of Wyoming in 1976. The leadership lessons learned and mentors gained at the three Leadership Training Workshops as a Purdue undergrad inspired decades of volunteer work within the Fraternity that culminated in his election as 64th Grand Consul in 2005. During his six-year term as Chairman of the Leadership Training Board, of which he was a pivotal member for 10 years, Krach, alongside past Sigma Chi Foundation President Frank Raymond helped secure funding from the L.G. Balfour Foundation to endow Leadership Training Workshop in 1997. 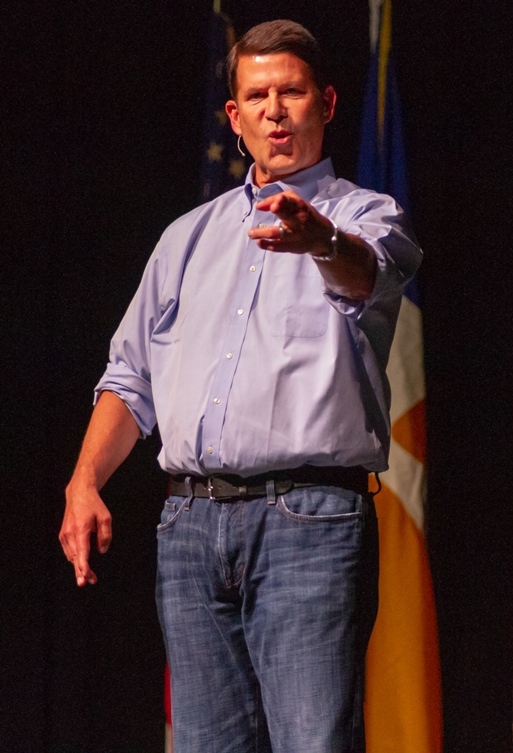 Under Krach’s leadership, the LTB led the development and launch of Horizons Leadership Summit in Snowbird, Utah, and he endowed a session of the six-day retreat in 2002. Professionally, outside of Sigma Chi, the Fraternity’s leadership lessons helped guide and mold the direction of world-renowned companies such as Ariba and DocuSign under Krach’s leadership. “The values for all the companies I helped build were always based off the principles of Sigma Chi. I drew on the ideals of Sigma Chi to empower high-performance teams with different temperaments, talents and convictions who weren’t afraid to challenge the status quo. The innovation and results just naturally followed. I believe that the Sigma Chi formula combined with diversity-of-thought is the catalyst for genius and the secret sauce for transformational change.” Krach said. Brother Krach’s extraordinary and exemplary leadership in all he accomplishes in business, Purdue University, Sigma Chi Fraternity and our beloved Delta Delta are inspiring and truly appreciated. With our gratitude. Snap! Snap!